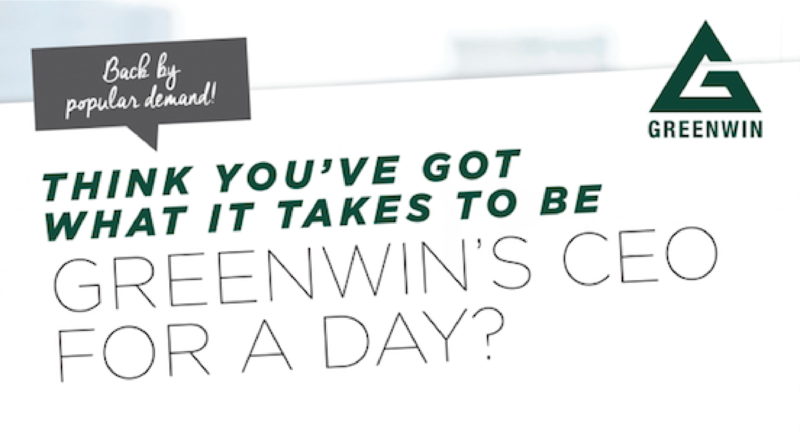 Could You Be Greenwin's Next CEO For A Day? 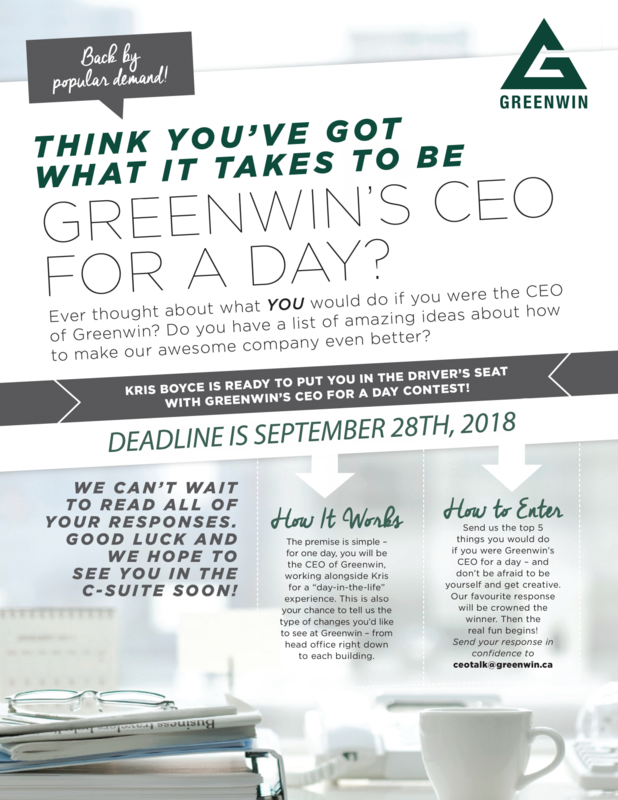 Greenwin's annual CEO For A Day contest is back! Are you a Greenwin employee full of bright ideas for improving our company? We want to hear from YOU! Email ceotalk@greenwin.cawith the top five things you would do if you were Greenwin's CEO for a day by September 28, 2018 to take your shot at the big chair. For more details, see the poster below.